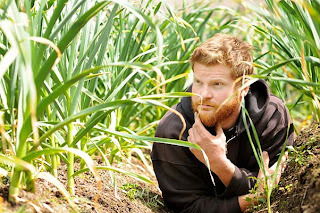 Garlic grows best when you think deep thoughts near its root zone. Now you know why our garlic is the way it is. "Consider the daffodil. And while you're doing that, I'll be over here, looking through your stuff. " Hello, I emailed you guys a week ago asking about becoming a land provider and I never got a response :( Did it get lost in the junk mail folder? Hi Christopher, I don't recall seeing your message & I can't find it in our inbox, email us again at "info@innercityfarms.com" if possible.